The Oota Table wants to be seen. A very special companion, as splendid and elegant as a jewel. 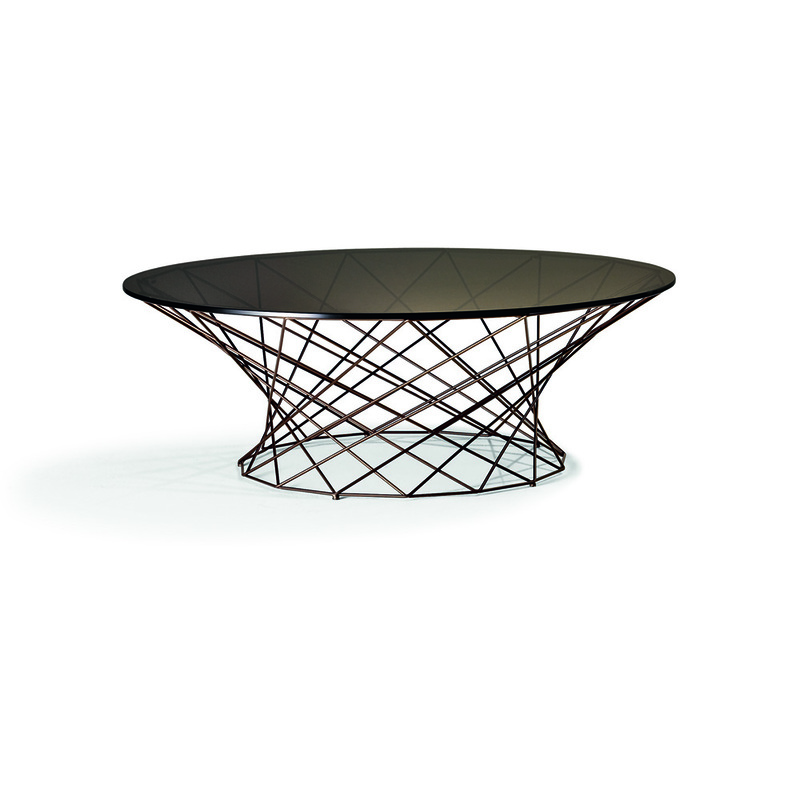 The delicate trellis work supports the round glass top that subtly and atmospherically reflects the light. 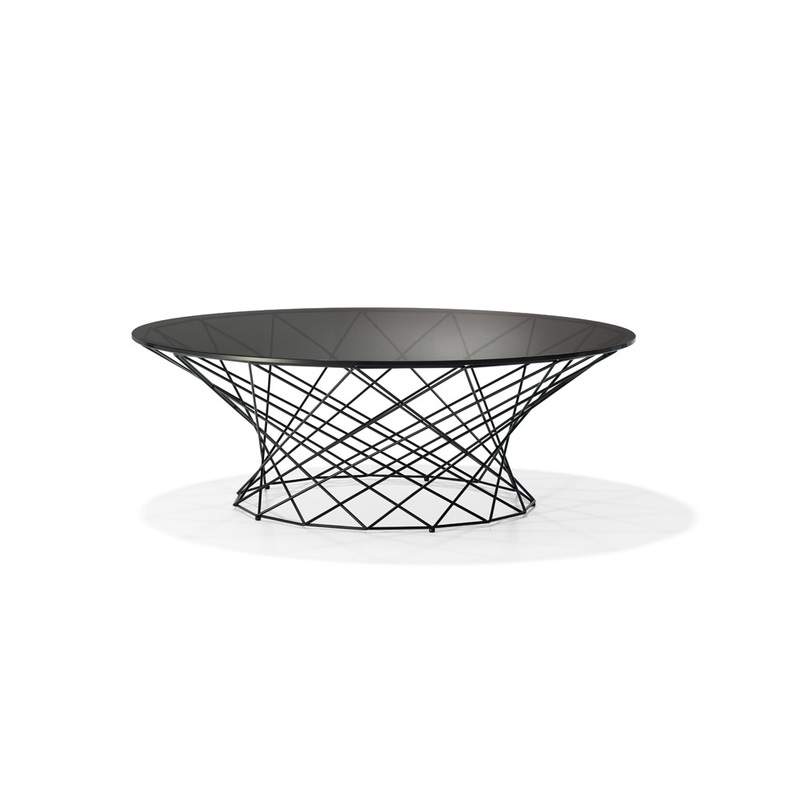 The Oota Table is perfect as a coffee table, but also as an occasional table. 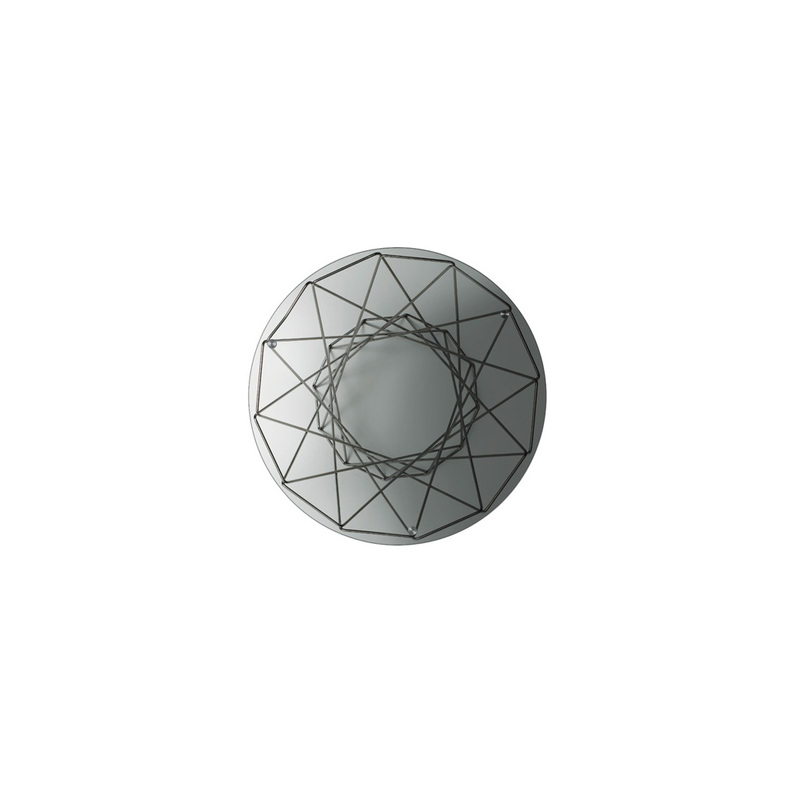 Available in four different sizes with a black-coated or stainless steel polished framework. 156 T-1 D52" H47" 156 T-2 D101" H35" 156 T-3 D101" H29" 156 T-4 D130" H35"